Q1: Who can claim deduction u/s 80CCD regarding new pension scheme? Where an assessee, being an individual employed by the Central Government on or after the 1st day of January, 2004, has in the previous year paid or deposited any amount in his account under a pension scheme as notified vide Notification No. F.N. 5/7/2003- ECB&PR dated 22.12.2003, he shall be allowed a deduction in the computation of his total income, of the whole of the amount so paid or deposited as does not exceed ten per cent of his salary in the previous year. Similarly, w.r.e.f A.Y. 2009-10 deduction u/s 80CCD is also allowed to employees up to 10 per cent of salary in the previous year and in other cases up to 10 per cent of his gross total income in the previous year. Q2: What is the quantum of deduction u/s 80CCD? 2. It further clarifies that where the Central Government or any other Employer makes any contribution to the account of employee for the pension scheme, the assessee shall also be allowed a deduction in the computation of his total income of the whole of the amount contributed by the Central Govt. or any other employer as does not exceed 10% of his salary in the previous year. One point that needs clarification is that whether contribution made by Central Government or other employer needs to be added to the income of the assessee before allowing deduction or not. In my opinion, yes, firstly it should be added and then deduction u/s 8OCCD should be allowed. Q3: What is the meaning of salary for the purposes of section 80CCD? A3: Salary for the purpose of section 80 CCD includes dearness allowance if the terms of employment so provide, but excludes all other allowances and perquisites. Q4: Can you please illustrate the above with the help of an example? Mr. X is a central govt. employee under the new contributory pension scheme; Govt contributes 10% to his pension fund. Mr. X has contributed Rs. 30,000.00 to his new pension scheme and the central Govt. also makes a matching contribution of Rs. 30,000.00. Compute the income and deduction u/s 80 CCD. Q5:? Can I claim deduction on account of NPS u/s 80 C? Q6: What is the tax treatment at the time of withdrawal of fund from NPS? A6: The NPS would follow the EET (Exempt – Exempt – Taxed) regime of taxation. (2) EET- Exempt Exempt Taxable- example NPS (3) ETE- Exempt, taxed, Exempt- FDR for 5 years. That is, the Exempt – Exempt – Exempt or EEE regime is followed for PPF. That is, the Exempt – Taxed – Exempt or ETE regime is followed for NSC. That is, the Exempt – Exempt – Exempt or EEE regime is followed for PF and VPF. That is, the Exempt – Exempt – Taxed or EET regime is followed for them. That is, the Exempt – Taxed – Exempt or ETE regime is followed for these FDs. F.No. 275/192/2009-IT (B) New Delhi Dated the 9th February, 2010. Sub: Clarification regarding deduction in respect of contribution to pension scheme under Section 80 CCD – matter reg. A number of representations have been received regarding deduction under Section 80 CCD for contribution made under pension scheme in the light of Circular No-1 /2010 dated 11th Jan62010 issued on the subject of Deduction of Tax at Source etc. 2. It is further clarified that where the Central Government or any other employer makes any contribution to the account of employee for the pension scheme, the assessee shall also be allowed a deduction in the computation of his total income of the whole of the amount contributed by the Central Govt. or any other employer as does not exceed 10% of his salary in the previous year. 3. Salary for the purpose of above section (80 CCD) includes dearness allowance if the terms of employment so provide, but excludes all other allowances and perquisites. 4.It is further clarified that aggregate limit of deduction under this section (80CCD) along with Sections 80 C, 80 CCC shall not in any case exceed Rs. onelakh. 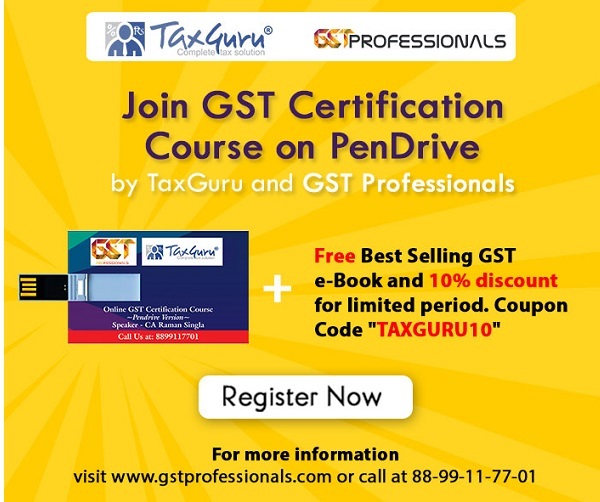 (2) Where, in the case of an assessee referred to in sub-section (1), the Central Government 18[or any other employer] makes any contribution to his account referred to in that sub-section, the assessee shall be allowed a deduction in the computation of his total income, of the whole of the amount contributed by the Central Government 18c[or any other employer] as does not exceed ten per cent of his salary in the previous year. C. As per the provisions of section 80CCD, where an assessee, being an individual employed by the Central Government on or after the 1st day of January, 2004, has in the previous year paid or deposited any amount in his account under a pension scheme as notified vide Notification No. F.N. 5/7/2003- ECB & PR, dated 22-12-2003, he shall be allowed a deduction in the computation of his total income, of the whole of the amount so paid or deposited as does not exceed ten per cent of his salary in the previous year. The benefit of new pension scheme has been extended to any other employees (also self-employed person) with retrospective effect from 1-4-2009 and deduction is allowed to employees up to 10 per cent of salary in the previous year and in other cases up to 10 per cent of his gross total income in the previous year. Further it has been specified that with retrospective effect from 1-4-2009 any amount received by the assessee from the new pension scheme shall be deemed not to have received in the previous year if such amount is used for purchasing an annuity plan in the previous year. For the purposes of deduction under section 80CCD, salary includes dearness allowance, if the terms of employment so provide, but excludes all other allowances and perquisites. The aggregate amount of deduction under sections 80C, 80CCC and 80CCD shall not exceed Rs. 1,00,000 (section 80CCE). The NPS is a new contributory pension scheme introduced by the Central Government for its own new employees. Under the new pension system, each new central government employee will open a personal retirement account on joining service. Every month, and till the employee retires or leaves government service, a part of the employee’s salary will be transferred into this account. When the person retires, he will be able to use these savings to take care of the needs and expenses of his family during old age. d.You are an employee of an Autonomous Body, Grant-in-Aid Institution, Union Territory or any other undertaking whose employees are eligible to a pension from the Consolidated Fund of India. 3. If I joined Central Government service on or after 01 January 2004 do I have an option of not being covered by the NPS? 4.I am covered by the NPS. Do the old Pension Rules apply to me? 5.I am covered by the NPS. Can I contribute to the GPF? 6. Am covered by the NPS. Am I eligible to Gratuity? 7. How does the NPS work? 8. What is the difference between Tier-I and Tier-II accounts? 9. How will I contribute to my Tier-I (pension) account? 10. Will the Government contribute anything to my Tier-I (pension) account? 11. Can I contribute more than 10 into my Tier-I account? 12. Will the Government also contribute more than 10 into my Tier-I account? 13. What will happen if I am transferred to another city or country? 14. If I leave Government service before I retire will the Government continue to contribute to my Tier-I account? 15. What if I die or become permanently disabled during my service? 16. Where will my savings be invested? 18.I am covered by the NPS. Can I contribute to the GPF? 19. Who will be responsible for the NPS and for protecting my interests? 20. When will my contributions start? 21. Who in the Government will issue me a PPAN open my accounts and be responsible for the deductions? When you join service, your Drawing and Disbursement Officer (DDO) will instruct you to fill out a NPS form. You will be required to provide your full professional and personal details including details of your nominee in this form. The DDO will issue you the PPAN number(PRAN) and will also be responsible for all administrative matters related to your NPS accounts including deduction of your contributions, transferring your contributions and the matching contribution of the Government to your Tier-I pension account. 22. What will happen to my contributions to my Tier-I account? 23. Which agency will serve as a PFM? The PFRDA will appoint a limited number of leading professional firms to act as PFMs. One of these PFMs will be a public sector agency. 24. Who will decide which PFM manages my contributions and savings? 25. Will I be permitted to select more than one PFM to manage my savings? 26. Will I be permitted to change my PFM preference? 27. Where will my savings be invested? 28. Will I be able to select more than one scheme? 29. How will my contributions be transferred to the PFM and scheme selected by me? 30. What rate of return will my contributions earn? 31. Will I have to pay any fees or charges under NPS? You will have to pay a fee to the Central Recordkeeping Agency (CRA) which will maintain your accounts and also to the PFM(s) which manage your savings. These charges will be deducted from your savings on a periodic basis. The fees and charges by the CRA and PFMs will be regulated by the PFRDA. 32. Can I contribute more than the 10 of basic+DA+DP into my TierI account at the moment? No. You will be allowed to do so only when the PFRDA, CRA and PFMs are appointed. 33. What will happen to my contributions and earnings in my Tier-I account when the PFRDA CRA and PFMs etc. are appointed? 34. Will I have the option of continuing with the current 8 percent rate of return? 35. When will I be permitted to withdraw from my Tier-I account? You will be able to withdraw your savings in your Tier-I account at age 60. 36. What will happen to my savings in the Tier-I account when I retire? 37. Can I use more than 40 of my savings to purchase the annuity? 38. What will happen to my savings if I decide to retire before age 60? 39. Will the annuity also provide a family (survivor) pension? 40. What will happen to my savings if I decide to retire before age 60? 41. What will happen to my savings in the Tier-I account when I retire? 42. What if I die or become permanently disabled during my service? 43. Will I have to pay any fees or charges under NPS? 44. What will happen to my contributions to my Tier-I account? In my form 16, employer contribution is not shown as income. But as mentioned aforesaid in your post that the contribution made by the employer shall be added as income to the salary of employee and there after the employee can claim deduction for the said amount u/s 80CCD(2). Kindly clarify by doing this whether the provision of 80 CCD (2) are not becoming redundant as first reckoning the amount as income and there after giving the deduction of the same amount does not make any logic. i) Whether the employee should prefer neither showing it as income nor claiming any deduction. ii) Whether I can claim deduction for employers contribution and not showing it as income (as mentioned aforesaid the same is not shown in my form 16). Please offer your comments and kindly guide on the same. My NPS yearly 10℅ contribution is about 60000. My LIC Policy covers 150000 savings. Can I show my RS 60000 NPS saving in 80CCD or I need extra 50000 for NPS. Govt. contribution should be taken as individual income. Is it correct or not? please refer the rule positon. sir if there is any circumstances under the dcps may be withdrawal before the age 60? Sir i am the state govt employee of Andra pradesh.My doubt is my contribution 10% of salary is comes under 80CCD(1B) or 80C or Both. Sir please clear the rebate in income tax 80c of NPS. I am a PSU’s employee. I am contributing since Sept’1995 @12% on Basic+DA to EPF where maximum Rs.1250.00 per month as EPS and rest amount is depositing into EPF ( withdrawal facility ). Now we are contributing another one pension contribution @ 5% on Basic+DA from employee and 9% from employers and depositing into LIC group employee pension scheme. My question is whether I could the exemption u/s CCD of IT for the amount contributed to LIC group employee pension scheme. I am a state govt. employee of Maharashtra state. we have moved to NPS from May-2015.From May-2015, the 10% of employer’s contribution is also displayed in our monthly income. while at deduction side, 10% of both employee’s and employer’s contribution is deducted from our salary. 1) Does 10% of employer’s contribution in income be considered as taxable? 2) Does the employer’s contribution in deduction be considered as saving under 80CCD? Please explain in detail and add some other important points related to my question if any?? How to calculate cpf to fill income tax? I am working in private company and cover under taxable income range. Can I get tax saving benefit u/s 80CCD? How much we have to be required to deposit in NPS scheme for take full tax saving benefit u/s 80CCD for Rs.50,000/- and where is the suitable place for deposit money in NPS? can tax robete in 80ccd in ( govt. contribution + employee contribution)= is total income tax robete income ? I am a state govt employee (A.P state)…joined in 2005…. so I am under CPS scheme…. now that arrears amounts are taxable income or not…..? already in every assessment year I showed that amounts as DA arrears received…..
I’m waiting for your information sir…. Please tell me whether contribution made by government in NPS policy is to be included in salary for calculating income tax . 1)where i invest my d.a arrears which diposet in my bank a/c? 2. )but i does not invest such arrears in NSC or KVP? 3)Am i free for such arrear in other long term equety fund scheme? AND THERE IS TAX DEDUCTED FROM THESE AMOUNT SO, HOW CAN I GET THE TAX REFUND IN WHICH IT SECTION IGET THE REFUND AND EXEMPT THE AMOUNT. HOW WE CALCULATE THE DEDUCTION UNDER SECTION 80CCD(2) IN CURRENT YEAR. AND THERE IS TAX DEDUCTED FROM THESE AMOUNT SO, HOW CAN I GET THE TAX REFUND IN WHICH IT SECTION IGET THE REFUND AND EXEMPT THE AMOUNT. c) Whether the tax rebate against NPS subscription shall be in addition to the limit of investment of Rs.100000 or it will be within the limit of Rs.1.00 Lac. Kindly clarify my above points over my email id. I am employee of UT Government. I want to know that whether the benefit of Arrears of past period i.e. last four years towards New Pension Scheme of Employer’s Contribution as well as Employees Contribution will be calculated for tax benefit in the current financial year or not. Computation of Income Tax may be intimated. If my contribution to pension scheme is Rs. 50,000/- and Govt. also contributes the same. My other deductions in 80C is 50,000/-. My question is, Whether I get deduction of more than Rs. 1,00,000/- towards contribution of Govt. to my pension account in view of new provision under section 80CCE of the Act ? The contribution made by the Central Government or any other employer to the account of the employee under the pension scheme is already included in the Salary of the employee under Section 17(1)(viii). sir;,i am central govt employee[min of defence] alredy covered under nps and tier 1 is given. can i take tier 2 also,and how [in the same PRAN number THROUGH GOVT OR from other agency. if any contributions are made by the temporary posting holders in central pension scheme where they have joined to government service on adhoc basis is it valid? even though employee contributions are made but no employer matching contributions are made then what are the legal consequences? subject to approval of government basis any employees are recruited on adhoc basis can employees contribute to cps? Is my contribution towards NPS can be consider over and above 1.00 lakh for tax deduction? Is employer’s contribution in NPS is under section 80CC? I was appointed on daily wage basis for the post of Lower Divisional Clerk in educational institution on March 1995. Then in June 2000 I have been given temporary status (eligible for annual increments and D.A.). Than in June 2006 I got regularized by granting me New Pension Scheme. So My question is that, where I should be in New Pension Scheme or Old pension Scheme? Please reply. i am Haryana Govt Employee. The Govt. Contribute 10% in NPS is Texable? New Pension Scheme contributions can deducted u/s 80ccd. my appointment date is 01.06.2006. But CPS No. has allotted to me in the month of October 2011. so I’m Paying my cps subscription from November 2011for current year in addition to arrear subscription for the months of June 2006 to September 2006 in this finance year . Shall I deduct the both current and arrear subscriptions u/s 80ccd. kindly give the clarification. New Pension Scheme contributions can deducted u/s 80ccd. my appoint date is 01.06.2006. But CPS No. has allotted to me in the month of October 2011. so I’m Paying my cps subscription for current year in addition to arrear subscription from June 2006. Shall I deduct the both current and arrear subscription u/s 80ccd. kindly give the clarification. gratuity is a kind of compliment given to a employee after serving the organisation for a definite period.many of the private companies offer this to its employees. the indian government is very slowly wahing off their hands from its servants by discontinuing the benefits of the government job in the form of withdrawing pension and gratuity. sinc the number of people joining government service is less after 2004 the govt is very callous towards the grievance. i could see that the day is not far when the affected employees unit and protest against this. i am hp govt employee.my contribution towards nps is 25000 and rs 25000/-hp govt share. It becomes Rs 50000/-.May I take rebate on both share i.e rs 50000/-. Kindly clarify. I AM AN EMPLOYEE OF KENDRIYA VIDYALAYA SANGATHAN. I JOINED ON 13/02/2009. MY NPS ACCOUNT STARTED IN APRIL 2010. CAN I REQUEST MY OFFICE PEOPLE TO DEUCT IT FROM THE DATE OF JOINING. IS IT POSSIBLE. PLEASE HELP ME. I AM CENTRAL RAILWAY GOVERNMENT EMPLOY AND I AM IN NEW PENSION SCHEME. 10 PERCENT DEDUCATION AS NPS AND 10 PERCENT CONTRIBUTED BY RAILWAY . IS CONTRIBUTION AMOUNT ALSO ADDED IN MY INCOME AND THAT INCOME BE TAXABLE OR NOT. 1. Deduction for employee and employers contribution in NPS to the extent of 10% of Basic and DA within the limit of Rs. 100000 under section 80C shall be given in the year in which the contributions are made. 2. The amount for which the deduction has been allowed is to be charged to income in the year in which these contributions are received by the employee by way of either opting out of the scheme or by way of closing of the account or by the way of income that is received through purchase of annuity plan from the amount received on closure or opting out of the scheme. 1. Employer contribution to the extent of 10% of Basic + DA can not be charged to the head Income from Salary till the time employee receives this amount in his hand by way of opting out or closing of the account. 2. eduction under 80C to the extent of Rs. 100000 shall bre given in the year in which the contributions are made. 3. Contributions for which deduction has been allowed now shall be treated as income in the year in which the employee withdraws from NPS. For exapmle if an employee is contributing Rs. 100000 by way of his contribution and his employers contribution in Tier 1 account of NPS and is also investing in other tax saving instruments such as LIC, PPF etc. say Rs. 100000, then his total savings are Rs. 200000 but qualifying amount is only Rs. 100000 under section 80C. On his retirement the employee can very well claim that the deductions allowed to him under 80C were corresponding to his other investments and not contributions made to NPS, hence since he has not claimed any deductions earlier, the sum received by him on closing of NPS account is not taxable as it has been taxed earlier. This only brings NPS at par with other retirement schemes such as EPF, GPF, FPS etc. Are contract employees covered under new pension scheme?I am working in Madhya Pradesh State Power distribution co and joined on CONTRACT basis for 3 yrs.am not regular employee.Will i can contribute to new pension scheme? Will my employer will also contribute?